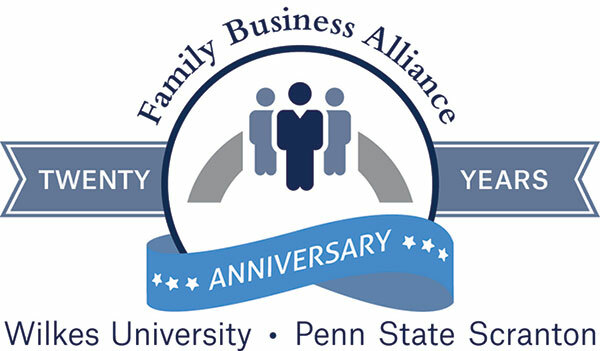 The mission of the Family Business Alliance (FBA) at Wilkes University and Penn State Scranton is to be the trusted resource providing world class services to support strengthening and empowering regional family-owned businesses and our community. The Family Business Alliance believes that a healthy business also makes for a healthy family. For 20 years, our mission is to be the trusted resource providing world-class services to empower regional family-owned businesses. We accomplish this through educational programs, networking, counsel and guidance so that success is achieved for the community. It is important work: family-owned businesses account for two thirds of all businesses around the world according to John Davis of Harvard Business School. Family Businesses are a crucial piece in our regional economy and in the lives of their families and employees.